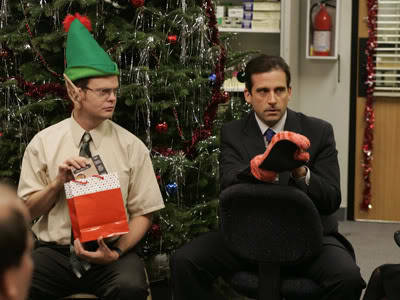 "Yes, Dwight there is a Santa Claus, and he knows more about Bear attacks than you!" My editorial on Mr. Church’s editorial: I’m not a hugely sentimental guy, but this letter gets to me every time I read it. It expresses in perfect language the absolute importance of believing in the good in life and ultimately people. The Oz Chronicles books, as bloody and scary as they are, express the same thing. I realize this won’t mean much to those of you who haven’t read the books, but for those of you who have, you should know that Stevie picked Oz as his warrior not because he was strong, or smart, or good – in fact, Oz treats Stevie terribly. Stevie picks Oz because he sees the magic in him, the good. Mr. Church is much more concise and congenial in his defense of the good in man, but I assure you we essentially are saying the same thing. Merry Christmas! Happy Hanukkah! Happy Kwanzaa! Merry Buddhist Day! Good Hindu Holidays! Happy Good Merry Muslim Celebration! What every your beliefs, party like you’re at a Scranton party because everyone knows there ain’t no party like a Scranton party! This entry was posted in Misc and tagged bear attacks, holidays, merry christmas, the office, the oz chronicles., there is a santa claus. Bookmark the permalink.